Certified premium used at BRL Test. 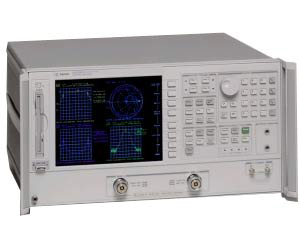 The 8753ES performs complete characterization of RF components. The built-in S-parameter test set provides a full range of magnitude and phase measurements. In addition, techniques developed to enhance vector accuracy provide full two-port calibration, adapter-removal and TRL*/LRM* calibration. Satisfaction guaranteed. Warranty. Backed by BRL Test's World Class Repair Lab.